Life is made up of moments - some more special than others. The world’s largest hot springs pool provides you the ones worth remembering. The 15 minerals in the water have the power to re-energize and re-new tired muscles. Our pool is open year-round. In the summer months, cabana rentals are available and the kiddy pool is ready to be enjoyed. Lap lanes are open for your swim work out all year long. 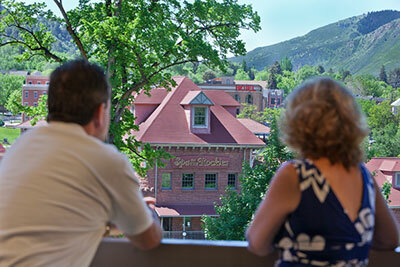 Glenwood Hot Springs Resort is in Glenwood Springs Colorado and is known as a haven of fun and relaxation, for families, couples and individuals.